Saddled with debt of about $1.14 billion, Jet Airways has been hit by price competition, rupee depreciation and high oil costs. Jet Airways has grounded four aircraft after failing to make payments to lessors, in a sign that leasing firms are losing patience with the heavily indebted carrier. Jet Airways said in a regulatory filing late on Thursday that it is actively engaged with all its aircraft lessors and regularly provides them with updates on efforts undertaken by it to improve liquidity. Aircraft lessors have been supportive of Jet Airways' efforts in this regard, the airline noted. Four aircraft have been grounded due to non-payment of amounts outstanding to lessors under lease agreements. The airline, India's second-largest by market share, did not name the leasing firms involved, nor clarify whether the groundings were voluntary or forced. Jet Airways has a large fleet of mainly Boeing Co 737 jets which it sources from over 20 lessors. 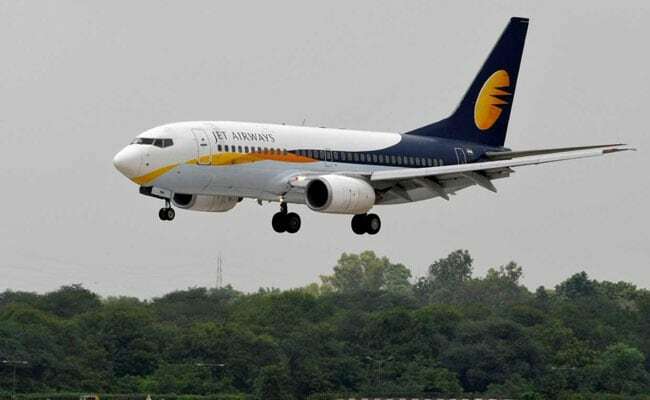 "The company is making all efforts to minimise disruption to its network due to the above and is proactively informing and re-accommodating its affected guests," Jet Airways said in its statement to the Bombay Stock Exchange. Jet Airways could not be reached for further comment outside business hours. Saddled with debt of about $1.14 billion, Jet Airways has been hit by price competition, rupee depreciation and high oil costs. The full-service airline, which controls a sixth of the country's booming aviation market, owes money to banks, vendors and lessors. Lessors to Jet Airways include AerCap Holdings NV, BOC Aviation Ltd, Avolon, GE Capital Aviation Services, Aircastle Ltd, DAE Aerospace, SBMC Aviation Capital and Jackson Square, according to past announcements and registration documents. News agency Reuters last month exclusively reported that lessors were considering taking back planes after a meeting with the airline that one person familiar with the matter described as an ill-tempered showdown. The situation has since worsened, the person told Reuters on Thursday. "Patience is running very thin and some lessors are not convinced about a viable rescue plan for Jet," the person said, declining to be identified due to the sensitivity of the matter. "Nobody wants to be the last one pulling out their aircraft." Jet Airways last week said it would seek shareholder approval at a February 21 meeting to convert existing debt into equity and allow its lenders to nominate directors to its board, in an effort to resolve its financial issues. The Business Standard last week reported Jet had agreed to most conditions set by shareholder Etihad Airways for offering a lifeline. The deal would result in Jet Airways' founder and chairman Naresh Goyal reducing his stake to 22 percent from 51 percent and stepping down from the board, the newspaper said, citing sources.